Received a master’s degree in literary theory from the St. Petersburg State University department of philology. 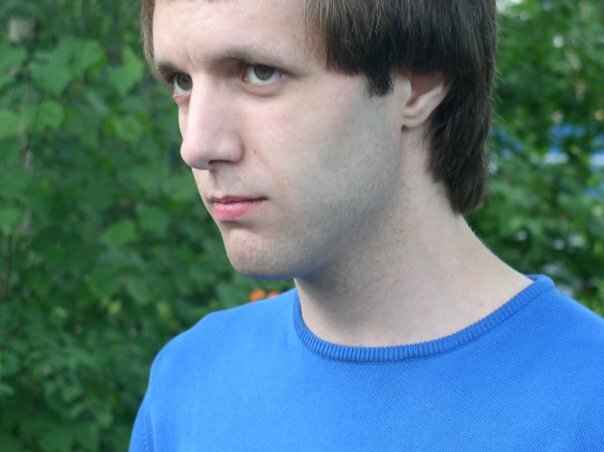 Arsenev has published poems in journals in Russia and abroad, as well as on the website Polutona (http://polutona.ru/?show=p_arsenyev). A book of his poems, Things that won’t fit inside your head, was published by St. Petersburg’s AnnaNova in 2005. 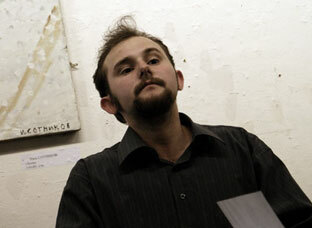 His articles have been published in New Literary Observer and the newspaper of the Chto Delat collective. 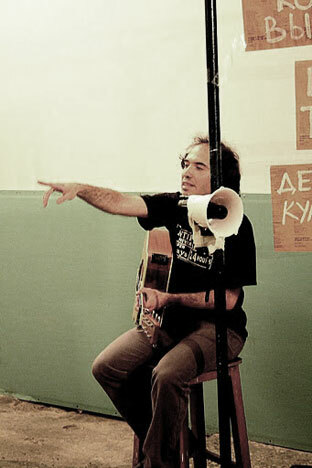 Arsenev has taken part in the Mai Festival of New Poets (2009) and the Festival of Free Verse (2010); he runs the Poetry Festival on Kanonersky Island (2009, 2010). He is a member of the Laboratory of Poetic Actionism (with Roman Osminkin and Dina Gatina) and the editor-in-chief of the literary-critical anthology Translit. He lives in St. Petersburg. 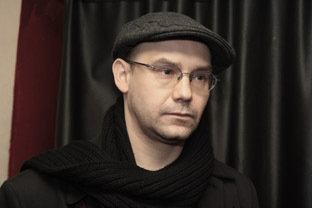 Dmitry Golynko-Volfson, poet, cultural studies expert, literary and art critic. Born in Leningrad at 9 December 1969. Ph.D, аuthor of monograph «Between Boredom and Daydream. The Analytics of Cinematic Experience» (2012). 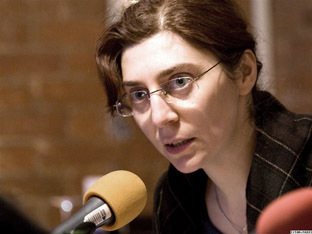 Assistant Professor at St.Petersburg State University, Associate Professor at St.Petersburg State University of Film and Television. Graduated from the Literary Institute. Medvedev has published articles and reviews in Russkii zhurnal (Russian Journal), Nezavisimaya gazeta (Independent newspaper) and others. He has published a series of translations of contemporary English-language literature (including two books by Charles Bukowski, the novel Women and Puking lady, a collection of poems). 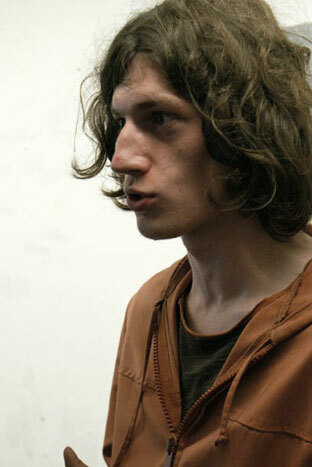 He was short-listed for the Andrei Bely prize (2002) in the “poetry” category. Books published: Everything’s bad. Moscow: OGI, 2000; Invasion. Moscow: ARGO-RISK, 2002; Texts published without the author’s knowledge. Moscow, NLO, 2005; 3%. Poems. Member of the Russian socialist movement. He lives in Moscow. Makes his own poetry-clip-s and video-art. Acts in advance in unexpected spaces, expanding the boundaries of art (street, hyper-market, university, gallery, a cultural center, etc.). His poetry collections include Delirium, In the Re-Reading, Red Shifting and most recently Cancellation. 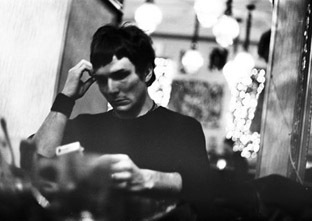 He is also the author of two books of essays, Critical Mass and The Resistance to/of Poetry. His poetry has been translated into English, Estonian, Finnish, French, Italian, Serbian, Slovenian and Swedish. He has translated into Russian a novel and several short stories by Paul Bowles, as well as criticism and theory by thinkers such as Jean-Luc Nancy, Paul de Man, J. Hillis Miller and Paolo Virno. He also translated many American poets, including Charles Olson, Susan Howe, Michael Palmer and Eileen Myles. 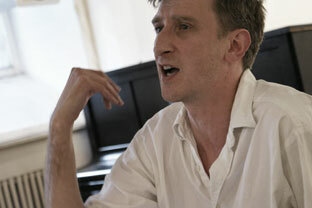 In 2006 he was awarded the Andrey Bely Prize for poetry. In 2008 his book Red Shifting was published in USA by Ugly Duckling Presse. He lives in Saint-Petersburg.